Cross Cultural Journeys is a travel company passionate about understanding indigenous cultures around the world. 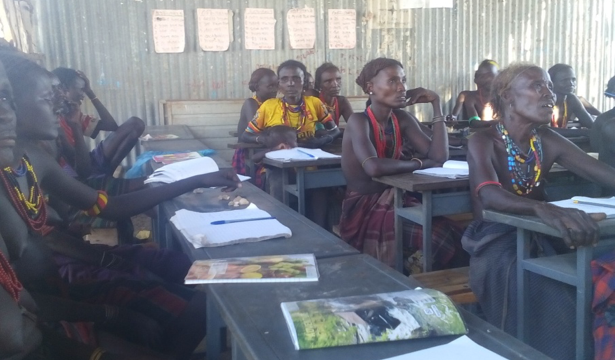 Through their foundation, they have partnered with GTLI to empower the women of Minogelti kebele 1, Hamer Woreda 2, South Omo Zone (home of 16 ethnic groups) in the SW corner of Ethiopia. Cross Cultural Journeys became acquainted with our initiatives when their group of adventurers visited GTLI’s remote field camp in February 2014. Several of the explorers became immediate supporters of GTLI’s orphan program and others decided to combine their resources to strengthen and increase the capacity of the Minogelti’s women cooperative – one of the most effective and sustainable methods to build the resiliency of an indigenous community. 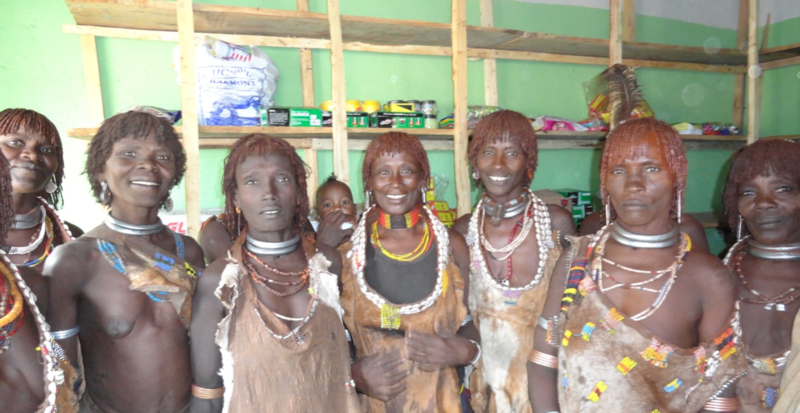 This project has been transformative for the women and the entire Minogelti community. A grinding mill that had been installed a few years earlier–to relieve the women of several hours a day grinding grain by hand–had fallen into disrepair and was no longer functional. The Cooperative was unable to locate and engage a mechanic to maintain the mill. Cross Cultural Journeys Foundation in collaboration with a generous private donor provided the funds to refurbish the mill and train the women to perform preventative maintenance, make minor repairs, and maintain an inventory of spare parts. The women have also learned how to weigh grain properly and record income and expenses daily. The women are now empowered to operate and maintain their grinding mill. A second significant investment by Cross Cultural Journeys Foundation was facilitating Integrated Functional Vocational Literacy classes (IFVL) for the community. Ten women enrolled and regularly attended, alongside men, to learn basic literacy and numeracy skills. Our IFVL schools include activities that reinforce healthy hygiene and sanitation, reproductive health, and nutrition behaviors. By including exercises that talk about diversifying diets and other skills, IFVL is able to positively influence a family’s nutrition at the same time women are gaining the skills to earn money to purchase food. And when men and women practice joint problem-solving in these activities, their respect for each other increases. Through their successes in IFVL, cooperative members and their families are now eating eggs daily and earning income by selling them. One cooperative member sold enough eggs to buy a goat! The community is eager to have another IFVL program. This is a shift in favor of gender equality and a concrete demonstration of the benefits of education—the women are directly contributing to family food and household assets. Another significant outcome for the community is the Cooperative management team is now able to communicate in Amharic, the national language. Coop Chairwoman Gulo Bola is able to use her mobile phone to communicate with government officials and the South Omo Zone Cooperative Union. Since limited officials speak the tribal language, or have the confidence to use a mobile phone, Gulo is able to facilitate logistics for the cooperative and advocate for the entire community. Women Cooperative members are now treated as important community decision makers and advocates. The Southern Nations & Nationalities Peoples Region awarded the Cooperative a flat screen TV in appreciation of their accomplishments. Unfortunately, Minogelti does not have electricity so they will auction off the TV in the future! South Omo Zone Women Affairs Office acknowledged their pioneering accomplishments with a large trophy cup. The number of Women Cooperative members who earned their first profit sharing distribution in August 2016. The coop paid Cooperative Union dues of $225 (5,000 birr) which gives them access to bulk purchasing and transportation, providing them an overall savings of $4,450 (98,000 birr) for products they sell: oil, soap, batteries, tea, biscuits, beads, razor blades, sorghum and maize. Gelte Mine, pictured with her daughter Kognang, is a 35-year-old Dasenech widow and mother of 7 children. 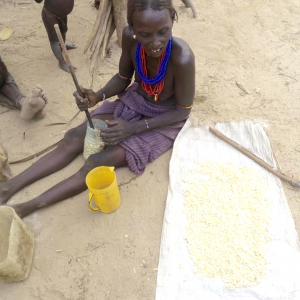 When Gelte was asked how her family’s quality of life was affected by GTLI, she replied, “We eat much, much better and we no longer have diarrhea. I am now self-confident. I do not let the brothers of my dead husband control me. My eyes have been opened. I say, GTLI is mizap” (the highest compliment in Dasenech language). 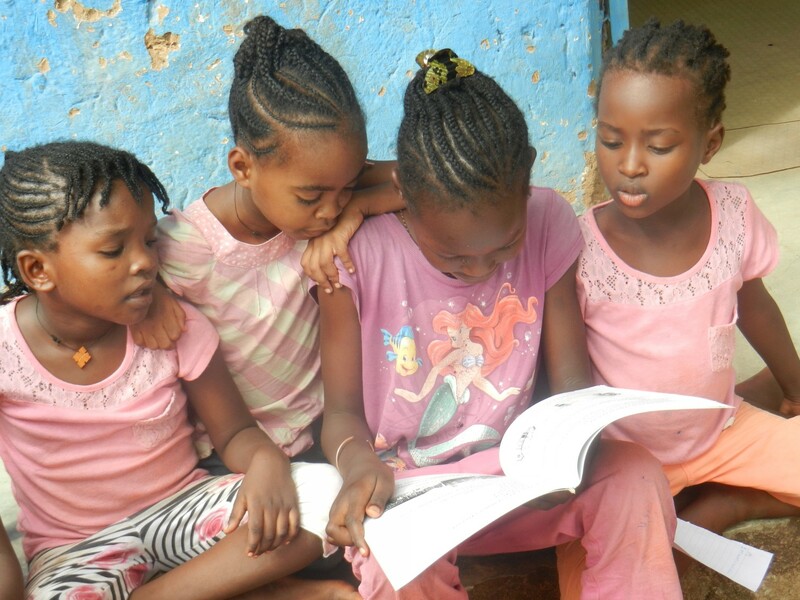 Prior to GTLI’s work with Gelte’s community, the lives of the women and girls were determined by traditional standards, values, and rules of conduct. Women were valued only for bride-price, labor, and number of offspring; females had no representation in the household or community; women were denied freedoms of speech, influence, and education; women owned no assets and had no authority over household assets or finances; and women and girls accepted violent and abusive disciplinary behavior. Other cultural practices that adversely affect Dasenech females include female genital cutting and early forced marriages. Gelte defied very stringent cultural mores when she decided to start using modern contraceptives after participating in GTLI’s Community-Based Learning in Action Healthy Children. She does not want to have a baby by the brothers of her (dead) husband! 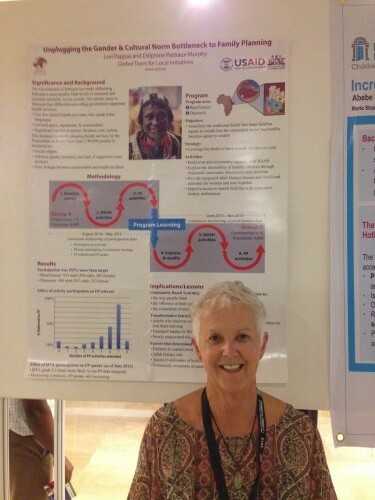 Gelte managed to save $100 when she was employed as a Community Health Promoter for a GTLI Emergency WASH project. This exceptional role model is now the cashier of the women’s cooperative and a member of the Community Empowerment Committee. A blue hat special welcome! The people of Guerenarema welcomed us in July with this heartwarming celebration! We were there to check up on the progress our Women’s Strengthening project, and we were greeted with overwhelming enthusiasm from both the women and men of the community. The people are thrilled that they have learned to read and write Amharic, the national language of Ethiopia. This simple skill is an important step in improving their long term survival. They are better able to negotiate with merchants and communicate effectively with government officials in charge of providing them important services. Two years ago Guerenarema was at the bottom of a long list of Dasenech communities unable to adapt to their rapidly changing environment. They had access to clean water, because they had participated in our WASH project in 2014-2015. But they had no school, no health facility, and no community-based microenterprise of any kind. Access to food was not dependable, and the people were barely subsisting. Their community was often in conflict with the adjacent Hamer people, because they were forced to compete for scarce grazing land and water for their livestock. With the help of our funding partner Boeing Global Corporate Citizenship, we began a Women’s Strengthening project with the goal of improving economic empowerment and stability in this area. The first step in this project was to provide more than 50 men and women our Integrated Functional Vocational Literacy classes. IFVL provides basic literacy and numeracy for adults while at the same time introducing new skills for food production and consumption, including chicken farming and gardening. 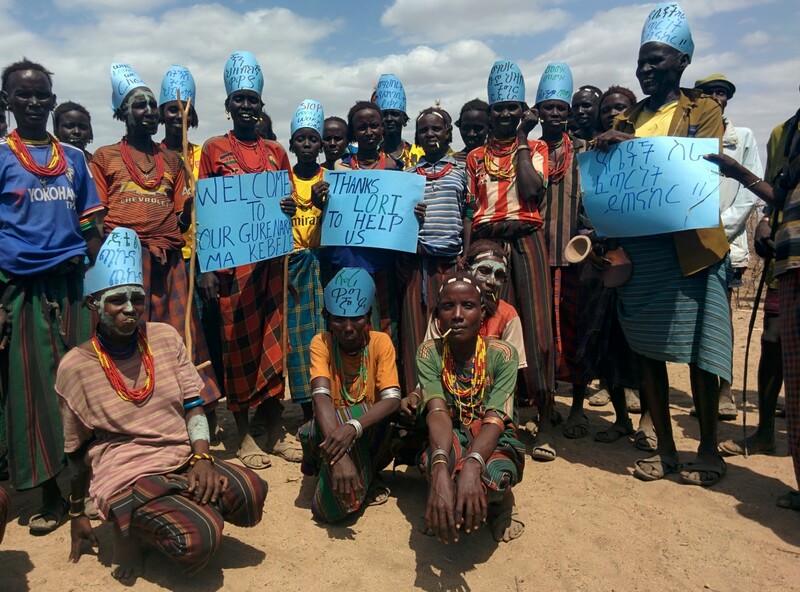 You can see how proud they are by the messages they wrote on their hats! The new Bandira well, rated to provide water for 400 people, operates 24/7 to serve more than 2,000. 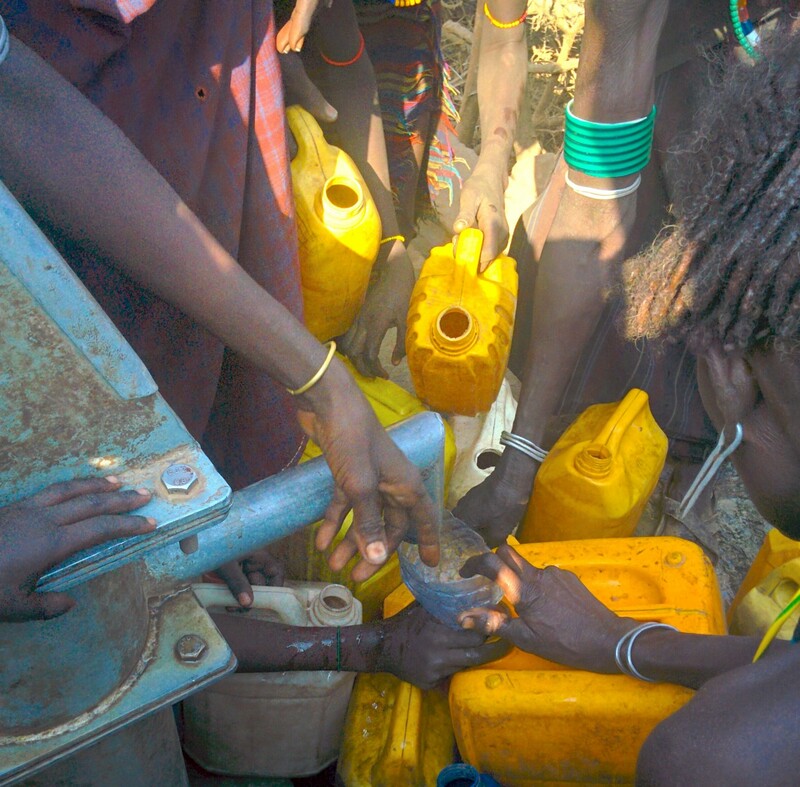 Where we work in South Omo Zone, Ethiopia, less than 30% of the people have access to clean water. When a new well is constructed, it is often overused and quickly breaks down. The new well we constructed in Bandira this spring is now used 24 hours a day, 7 days a week by everyone in the surrounding area. This does not give the well sufficient time to recharge. Overuse is just one of the challenges for new water schemes. Poured concrete, that protects the well, quickly cracks if proper construction techniques are not used. Wells that are not protected by fencing and proper sanitation practices become contaminated. Local government water offices are often challenged by the lack of capacity—budget, technical expertise, and transportation—and struggle to help when wells fail. To reverse this trend, GTLI strives to build the capacity within the community itself to maintain their new clean water supply. We teach local contractors to perform standard concrete quality tests during construction. We provide extensive training for the Water User Association, made up of community members, facilitating the collection of water user fees and providing initial water scheme replacement parts so they can perform preventative maintenance. Building the resiliency of these communities begins with sustainable clean water. 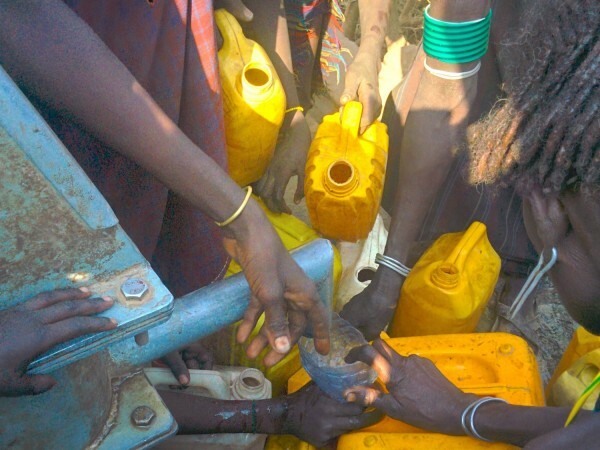 Since 2010 GTLI has constructed or refurbished 127 water schemes and provided access to safe water for more than 102,000 people in the Dasenech, Hamer, BenaTsemay and Nyangatom kebeles. In order for everyone to have access to sustainable clean water, more wells need to be constructed. The kids are growing and need new shoes! 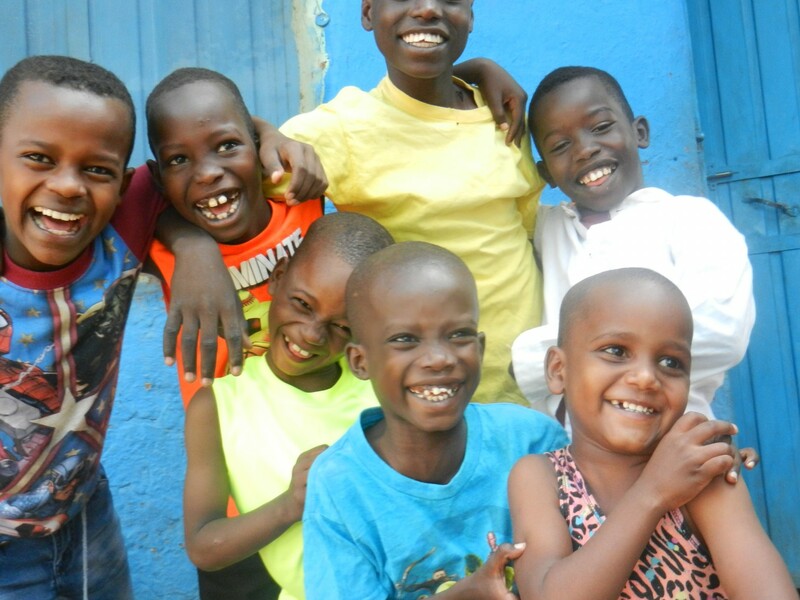 Our Hamar family of children are thriving; they are all doing well in school, and the two children who came to us malnourished (Temesgen and Zenabaw) are now healthy and growing. Our little Aregesh is still struggling with ear problems. She had surgery last fall on her right ear and this week she will “go under the knife” for her left ear. She is so sweet and uncomplaining. Hilu, our oldest girl, is now in 3rd grade. She loves her little “sisters” and often reads to them. Negataw, pictured on the far right, looks more like Halle Berry every year! Berge, our second oldest girl, was off playing with a friend and missed this story time. Our boys take our breath away – so full of energy and love. Just imagine–Kore, Ronni and Muse between 12-15 years, Yuan around 10 years old, whirlwind Achemi, around 7 years old, Tesmesgen (somewhere between 6-8 years old) and little Lucas, probably 4 years old–all living in the same compound with our 5 girls, their caretaker, their cook, and Netsanet, GTLI’s field coordinator! And, by the way, this same small compound in Turmi is also our field office. Cozy but safe. Many of our male staff, particularly Netsanet, Tariku (Finance/Admin officer) and Yehualashet (Project Officer) have become the kids’ surrogate fathers. When GTLI first piloted Integrated Functional Vocational Literacy (IFVL), attendance averaged 15 people, with only three regular attendees. Lessons were simple learning exercises. Now, five years later, each of the 12 lessons are organized into six discrete learning activities that reinforce healthy hygiene and sanitation, reproductive health, and nutrition behaviors. In Gueranerama Dasenech, 51 adults (37 women and 14 men) have already attended 32 out of 72 learning activities and their commitment continues to grow! When men and women practice joint problem-solving in school, their respect for each other increases, which starts shifting norms in favor of gender equality. It’s transformative—and Gueranerama adults are raising the bar! 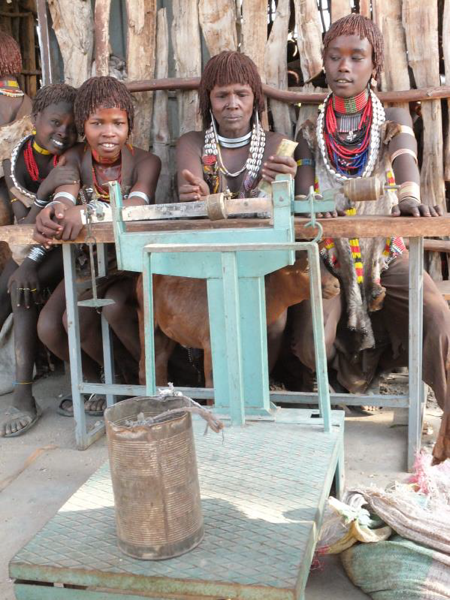 The Gueranerama Women’s Cooperative is also ahead of the pack in earning money. These amazing women have established an executive committee, a management committee, and a credit committee, with more than half of the 24 members actively participating in co-op management. The cooperative is licensed with the local government office, and during the past few months they have been able to deposit 4,095 birr (approximately $190) in profits into their Omo Micro Finance account. This may not seem like much but when the average household income is less than $1/day, it’s a fortune. The women have been busy selling local drink and coffee chaff while they wait for the completion of the new rural trading center and the inauguration of their new grinding mill. Soon, more than 170 very vulnerable households will be able to purchase food and commodities locally (instead of walking for two days) and to save 2-3 hours per day using the grinding mill rather than grinding grain by hand. And, best of all, the people of Gueranerama are truly helping themselves. They contributed 11,340 birr as cost share (approximately $528) in May alone by fetching water for construction and participating in other activities. 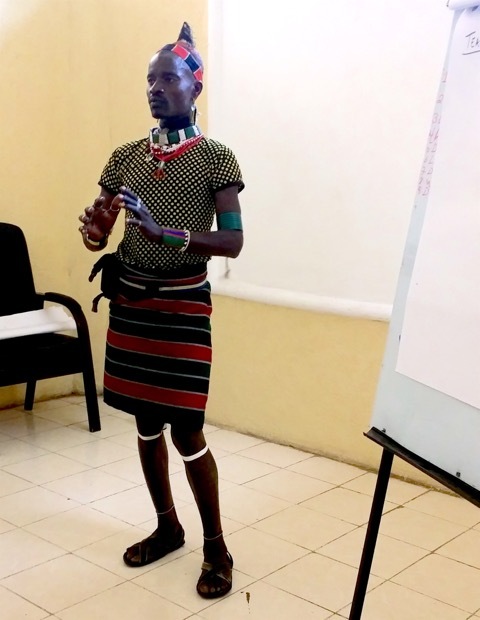 Our aim is to equip South Omo pastoralists so that within five years, they will have the ability—the health, livelihood options, and leadership skills—to thrive. It looks like Gueranerama may well be our first success story in resilience. Fingers Crossed! GTLI Board Member Johnnie Lloyd led a 3-day workshop for our field and management teams in Hawassa, Ethiopia in April. The main topic, effective communication, was new to most. We agreed that our new working definition of communication means the receiver understands the essence of the message sent by the sender. It was fun, energizing, and great to be together. 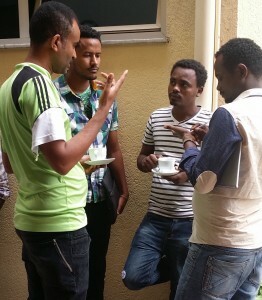 GTLI/Ethiopia has a program team and a support team. The entire program team, except for Dr. Merkeb Belay (Program Manager) is based in the field. The support team, Finance/Administration, supervised by Sisay Aredo, is located 25% in Addis and 75% in South Omo; and all field program and support activities are coordinated by Netsanet Feleke. Both teams have been fine-tuned this past year and are working well together. “The quality of our management team is first rate. The entire GTLI team is well structured and doing a terrific job!” — Johnnie Lloyd, international business consultant and GTLI Board member. As part of GTLI’s quarterly review process, each team is encouraged to talk about their successes, challenges, and suggestions for improvement. Sudo, GTLI’s senior field office guard, makes a suggestion to more effectively help his people, the Hamar. 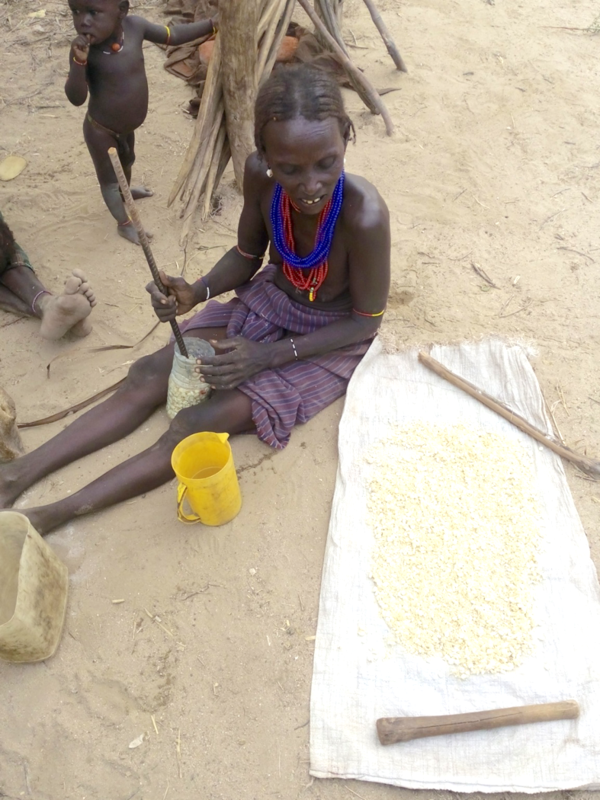 A Dasenech woman grinds by hand the grain that she will use to prepare her family’s meal. This is a task she spends 2 to 3 hours on, every day. Despite her work load, she is finding the time to participate in our women’s strengthening project now underway in the Guerenarema community. Our project seeks to improve economic empowerment and stability for the women in this underserved community, where there are no schools, no health facilities, and no community-based organizations promoting microenterprise. We are not focusing only on the women, however. A group of men and women are coming together twice a week to learn to read, write, and do basic arithmetic. And in the process, they learn to make decisions together. In these traditional communities, women do bulk do the bulk of the physical work—fetching water, carrying heavy loads, grinding grain. When we work with communities to empower women, they learn how to form a cooperative to operate a grinding mill and rural trading center. The cooperative will save hours of productive time each day for all of the women in the community. Time that would otherwise be spending grinding grain by hand or walking miles to the nearest trading center. Our experience with women cooperatives has shown us that as they contribute to the overall economic vitality of the community, they also improve status of the women as valued community members. The women gain productive time, and they gain a voice in matters that affect their well-being and their families’ well-being. Amarech Benki is a 37 year-old BenaTsemay woman and the mother of nine children. Her two oldest children are married and her youngest is 18 months old. 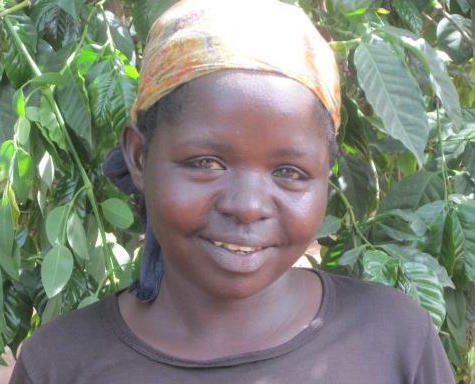 Prior participating in GTLI’s Reproductive Health project, Amarech had no understanding of basic sanitation and hygiene. She now feels strongly that she could have prevented the death of one of her children with the understanding that she now has of healthy hygiene and sanitation behavior. She has become a strong advocate of pit latrine usage, hand washing, and clean compounds. Amarech wants to help her community. 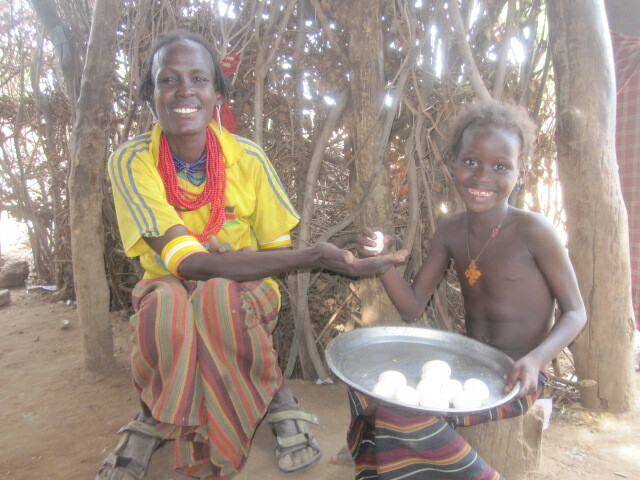 Amarech is happy that she and her family now have more to eat. Before participating in the program, her family’s diet consisted of maize and occasional meat when her husband’s wild animal hunt was successful. As part of this GTLI program she received four chickens when she graduated from Integrated Functional Vocational Literacy school (IFVL). She learned well, and she now has 30 chickens. She sold one chicken recently for funds to purchase an exercise book for her son. She has also given 20 eggs to five households to help them start raising chickens. Her husband received vegetable seeds and agricultural tools when he graduated from IFVL. Their family’s diet now consists of eggs, sweet potatoes, vegetables, chickens, and meat, which they buy with their egg money. Women in Amarech’s community usually have at least 10 children. She and her husband decided that in order to make their family happy and healthy she needed to use Family Planning. They agreed that Depo was the best option for them and so Amarech, a fearless pioneer, became a new acceptor of modern contraceptives. 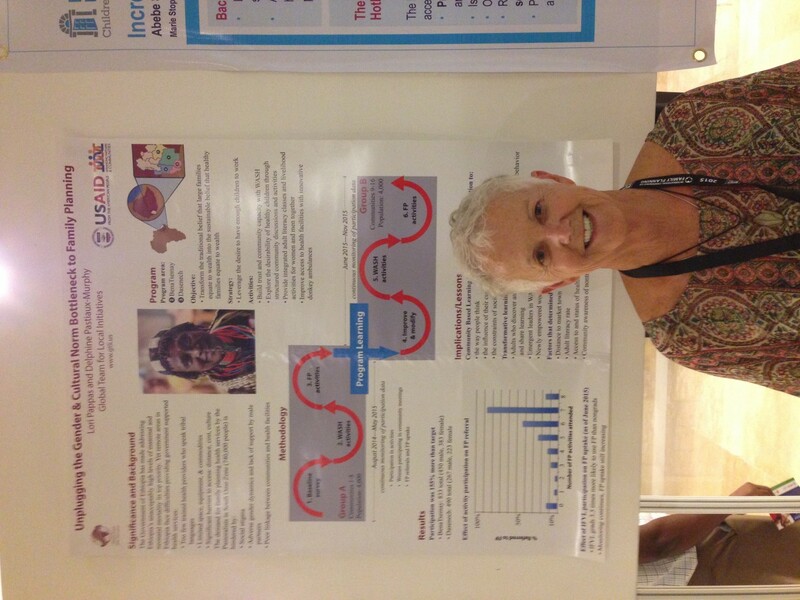 Lori Pappas, GTLI Founder and Executive Director, was thrilled to share results from GTLI family planning initiatives at the fourth International Conference on Family Planning that took place in January in Nusa Dua, Indonesia. The conference drew researchers, implementers, policymakers, advocates, and representatives of local and international organizations. Lori really enjoyed hanging out with people striving to make the world a healthier place, particularly for women and children. For more about the ICFP, visit the conference website.